High Pressure Cleaning and Washing Commercial and Residential Properties in Pennant Hills! High pressure cleaning in Pennant Hills is a very result-oriented and dependable method that rejuvenates any space. And after pressure cleaning and washing, the results are very evident. As part of regular maintenance of your home, it is good to go in for an pressure cleaning and washing for your home or place in PENNANT HILLS areas. 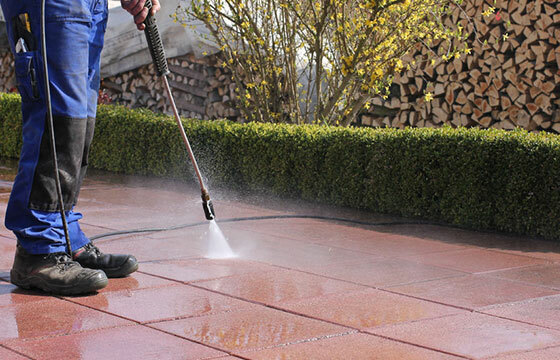 As part of a regular cleaning schedule or if you as part of a pre-sale prepping, engage experienced cleaners to take care of the pressure wash.
High pressure cleaning in Pennant Hills 2120 can be carried out on any outdoor surface that is made of any material, be it brick, tiles, concrete or even stone. Also, areas like the patio, balconies, driveway, pathways, outdoor decks, pool area, paving and more are best cleaned via high pressure washing and cleaning in Pennant Hills. The façade and external appearance of your house or commercial property are definitely improved thanks to an ongoing pressure wash and cleaning. When the property looks clean and neat, the property value also increases. And your asset value is only increasing and will never reduce whatsoever. Why carry out high pressure cleaning and washing in Pennant Hills? The outdoor areas are constantly exposed, to dust, dirt and changing weathers, therefore, it will get dirty also faster. So in order to give it a fresh lease of life, experienced cleaners from say a cleaning services company like Franklean Carpet & Tile Cleaning extend good, result-oriented high pressure cleaning and washing in the PENNANT HILLS. factor in. And all of this is met with by Franklean Carpet & Tile Cleaning in Pennant Hills 2120. Our price is right. Reasonable and cheap and our services are exemplary. We will not cut corners and that is not our policy at all. Just suppose you are experiencing an emergency of sorts. Wherein you want an high pressure wash and clean in a jiffy and in no time, or if there was something untoward that occurred then you need to get it cleaned on an emergency basis. Whatever it is, if there are a washer and cleaner who can get it done in a short time, so as to avert any impending issues, or if it is the need of the hour, then one such cleaning service companies who offer emergency high pressure cleaning and washing is Franklean Carpet & Tile Cleaning in PENNANT HILLS. Whatever it is, a routine or emergency high pressure wash and clean, experienced cleaners who will get the place cleaned and spruced up in no time and more so the way you want it, and whose costs are cheap and the price is reasonable, then it is best you get in touch with Franklean Carpet & Tile Cleaning in Pennant Hills 2120. You can reach out to us on 0411 181 990 or email us at frankleansyd@gmail.com.